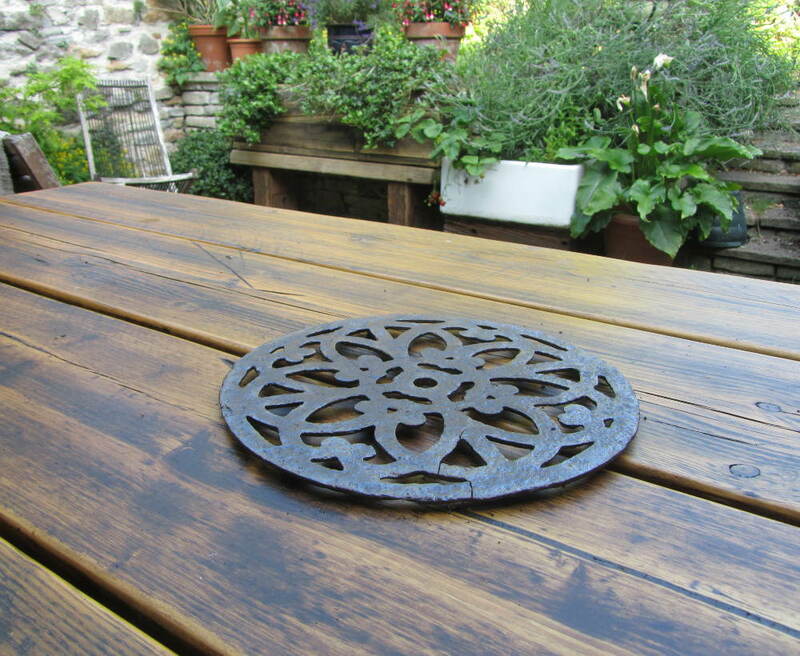 Pine garden table hand made entirely from reclaimed wood. 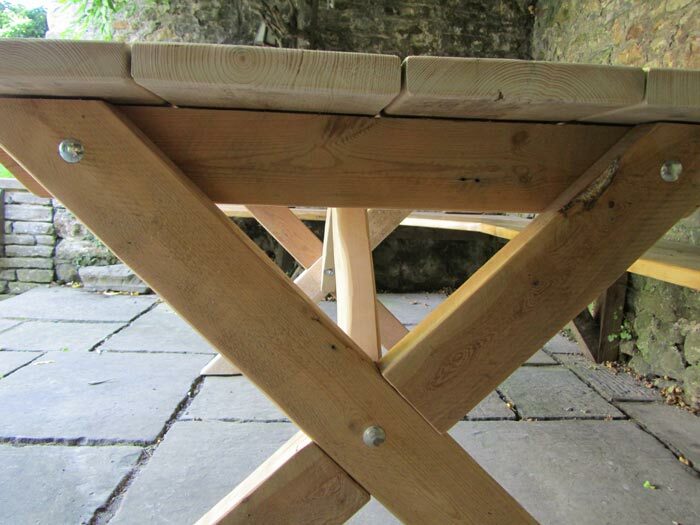 The top is made from pine scaffold boards, the legs and braces from lengths of used 4×2. This is a very solid table that will last many years. It will comfortably seat 6, or 8 at a push. I have sanded the wood to a fine finish and protected it with several coats of danish oil, so it won’t need treating again for another 12 months. 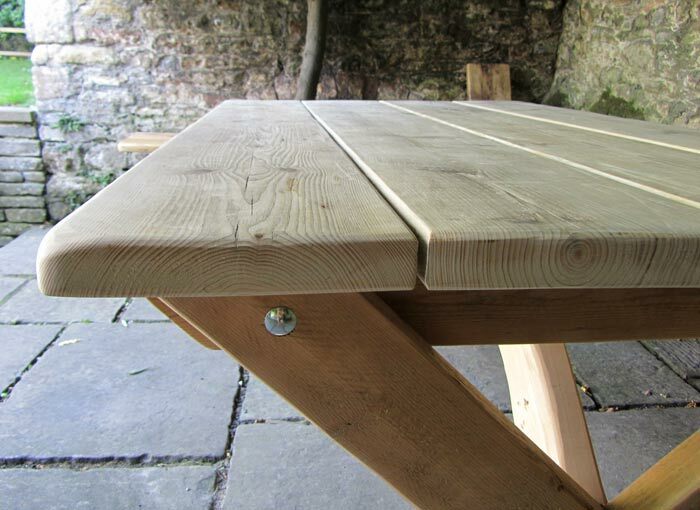 The legs can be removed to make it easier to transport or store the table over the winter months if required. 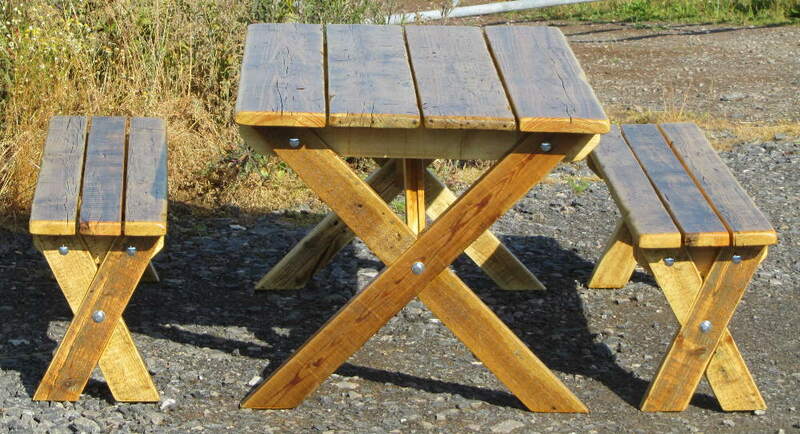 I can offer a discount if you order a table and bench or 2 benches. 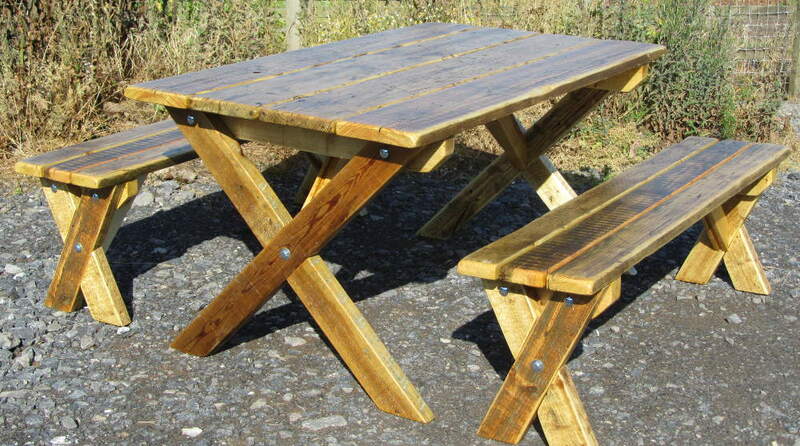 Other lengths of table are available, ranging from 80cm to 200cm. Get in touch to discuss your requirements. Check out our sister site – Chunky Studio Furniture. A site dedicated to 19″ rack units, desks and recording studio furniture made exclusively from reclaimed wood. Call 07789 381989 or click here to send an email requesting a quotation or advice on your purchase.